Perfectly adapted to the shape of women's faces, Breeze frames are designed for female fans of the great outdoors. With excellent coverage, fantastic field of vision and perfect ventilation, they provide unrivalled comfort for eating up the miles. Comfort levels are further enhanced with adjustable temples which offer incredible grip for every face. 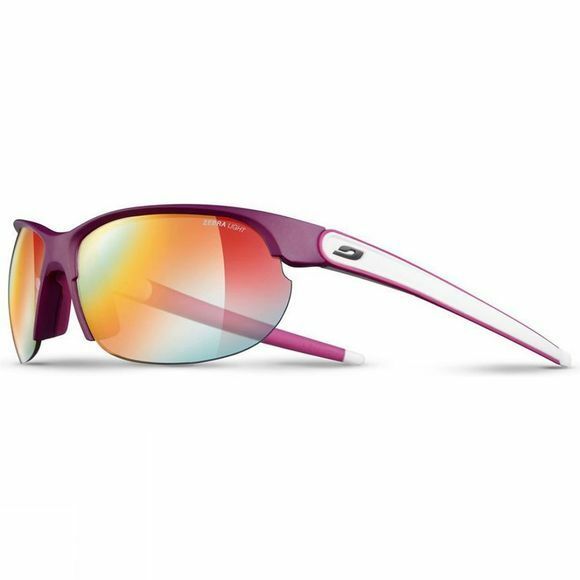 Fitted with Zebra photochromic Reactiv lenses, they offer optimum vision, regardless of light levels. In other words, glasses that won't compromise when it comes to technology and style. 360° adjustable temples: The ends of the temples can be moved in all directions. Under a helmet, over a hat or on the head, the frames are held in place. 3D Nose Fit: Special nose-pads are adjustable in every direction so that glasses fit every type of nose shape and ensure unbeatable hold in all conditions. 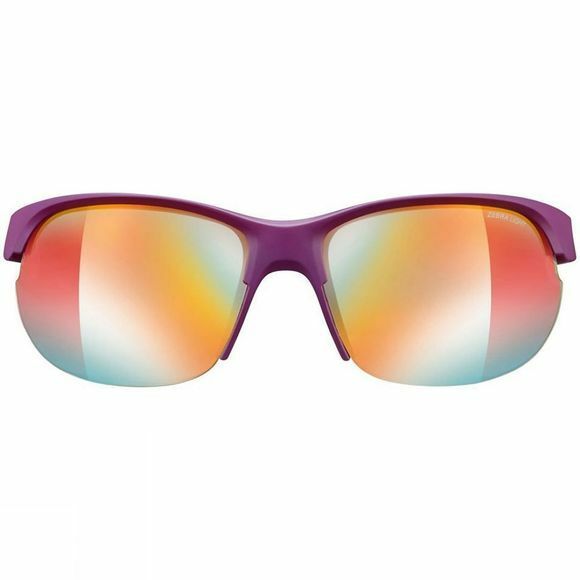 Full Venting: Highly vented sunglasses structure allowing full circulation of air to prevent fogging. Panoramic view: Wide lens surface for maximum field of vision.